Google Pixel XL has been launched and soon will be available for sale. Many people are eagerly waiting for the awesome device that offers unmatched functionality of latest Android Nougat, strong battery and a large 5.5 display with excellent visualization capacity. However, we should never forget the it is made of glass and aluminium which is a slippery combination. 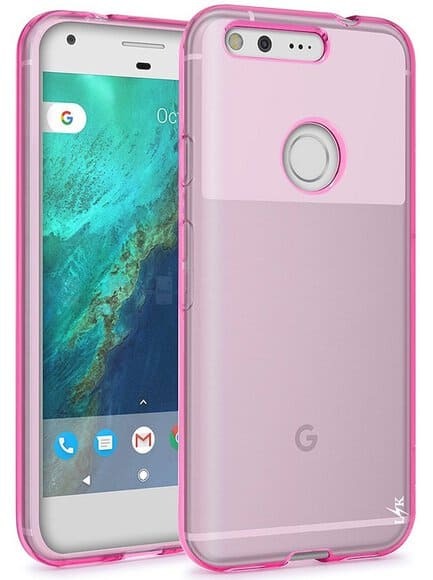 Google Pixel XL is delicate and expensive, so we are sure that no one would want to have ugly scratches on the screen or rest of the body that’s why it is advisable to buy a cover at the same time and keep your desirable phone protected so that it can live with you for a longer time. 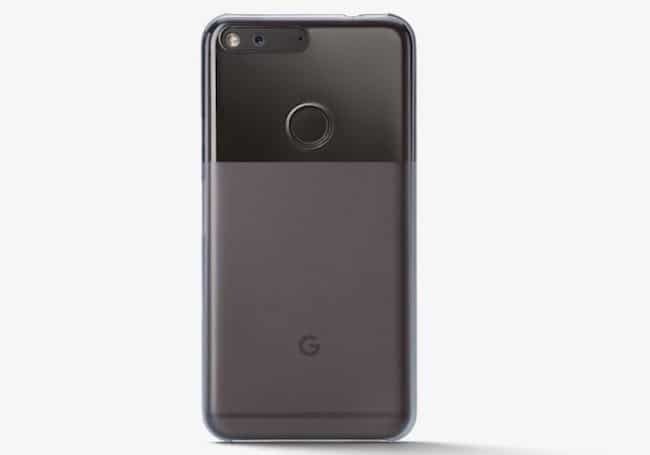 Here in this article we have listed some of the best Google Pixel XL cases and covers available for the highly awaited Google Pixel XL. All these best Google Pixel XL cases are available in different styles and variations so you can choose according to your preferences. If you want to showcase the beauty of your Google Pixel XL then go for it. 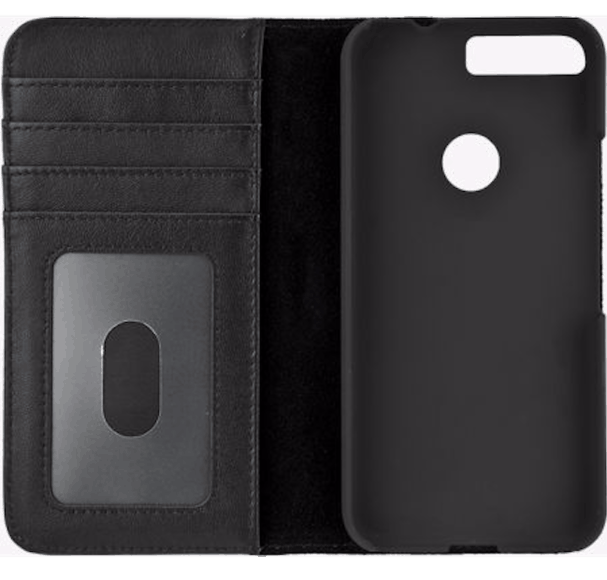 The case is slim, light weighted and fits properly to the device without adding too much bulk. The top section of the case is fully transparent and the rest of the part is frosted which gives an eye catchy look to the phone. Protection wise it is satisfactory, but may not save your phone from sudden drop. However, nice cut-outs to access ports and features and beautiful design may attract a lot of users. 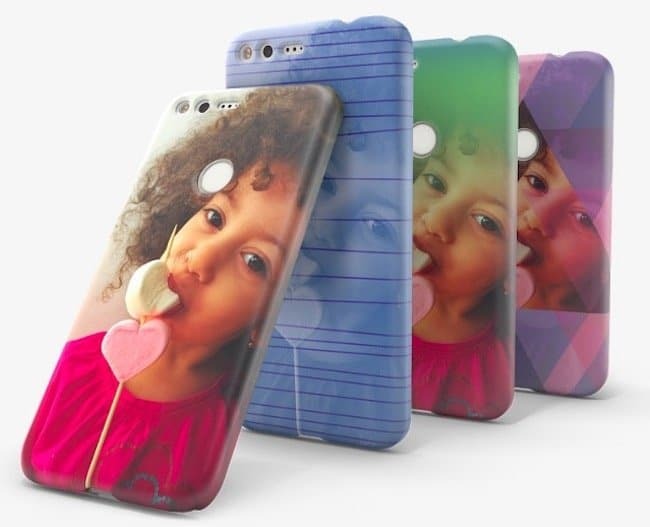 Google has replaced the standard cases with Live cases with three different options. 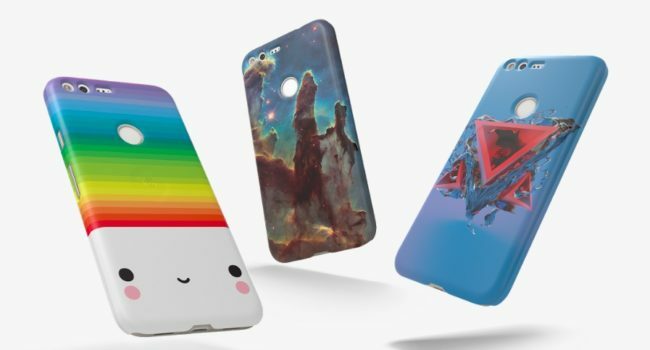 The first type of cases are Artwork Live cases that allow users to choose from the huge collection of Artwork to customise their phone cases. These Artworks are created by developers, photographers and illustrators. The cases also come with a Live wallpaper to display available designs to match the screen. You can enhance your functionality and show your creativity using these amazing Google Pixel XL Photo Live cases. Google simply allows you to take a print of any picture and add it into the Live case. The programmable short-button and custom wallpaper, to turn screen into a slideshow of available pictures are add-ons. You can use Google Maps to decorate your Live cases and customize them with your favourite colour and style. 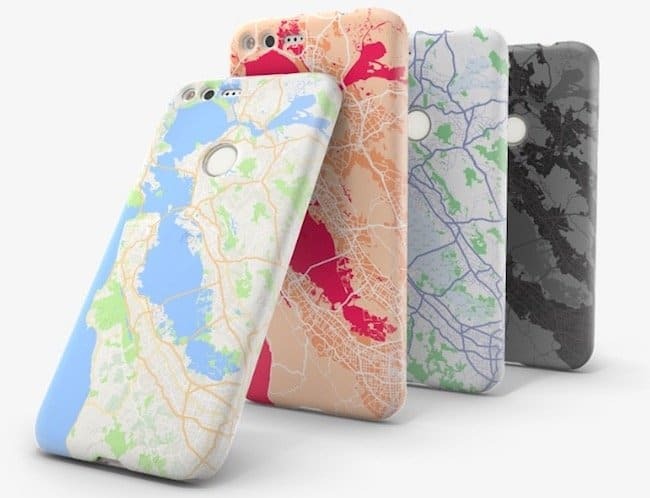 The process is pretty simple and all you need to do is just choose your preferred location on Google Map, customize it and print on the Live case. The durable polycarbonate is used in the making of these cases and they include precious cutouts to access ports as well. 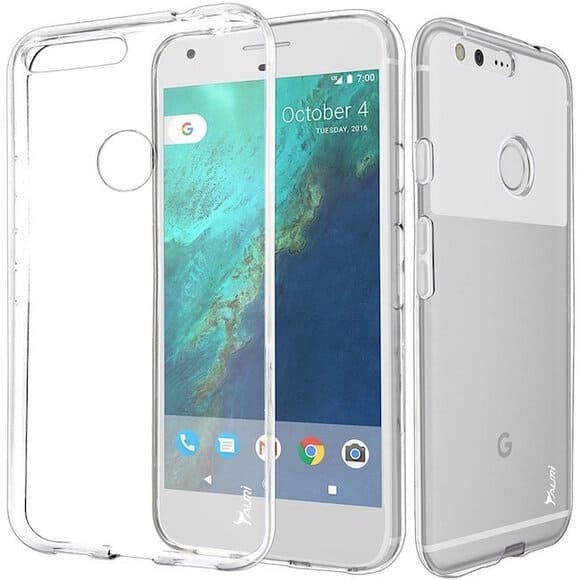 Spigen has come up with a clear case for Google Pixel XL that is soft and light. The case is made of flexible TPU and provides a thin line of protection. Though, it lets you display the beauty of your Pixel XL and adds minimal bulk to the phone. It packs raised lip to protect the screen and nice cutouts to access the ports and features. The case is capable of preventing the back panel from bubble smudges which is exceptional. 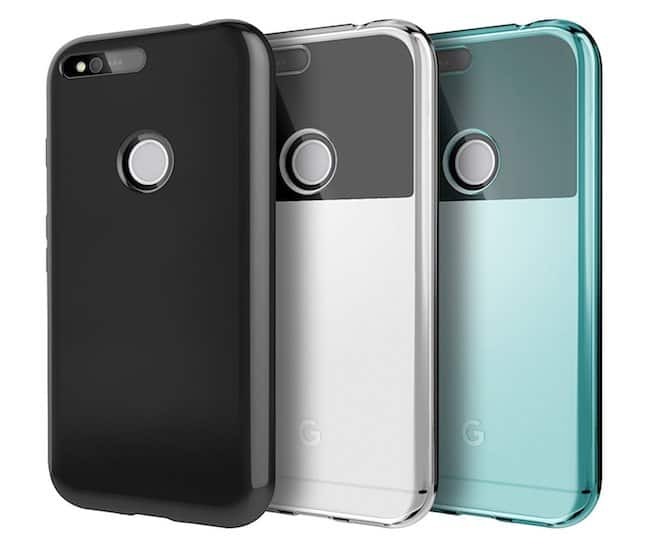 Tauri has come up with a beautiful case for Google Pixel XL that prevents air bubbles on the back of the phone. 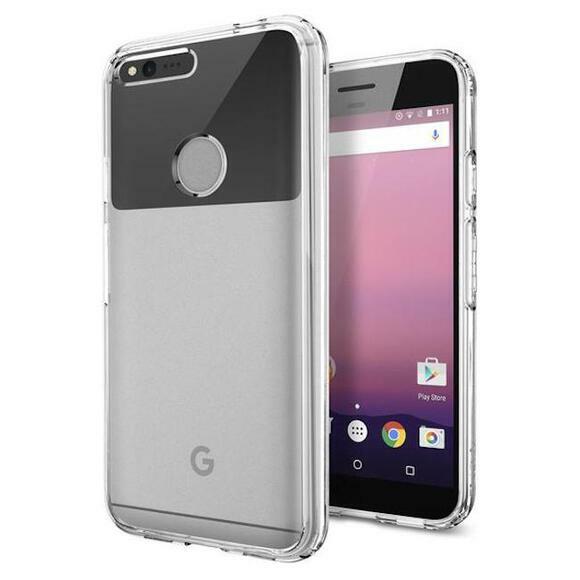 Tauri Google Pixel XL case packs textured interior and is filled with scratch resistant and shock absorbing gel which not just protects the screen but also takes care of the form and colour of the phone for a longer time. The case is thin, as well as light and provides good grip over the phone. 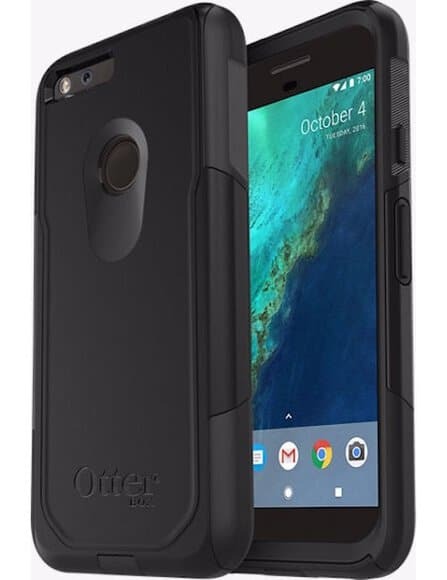 The OtterBox Defender Series Case provides desired dual layer protection, covers for the ports and raised bezel for the screen of your Google Pixel XL. The case is not too bulky and flaunt an attractive design. It provides good grip over the phone and is easy to open. Well placed cut-outs allow full functionality of ports and other features such as fingerprint sensors and camera without removing the cover. Those who are looking for a case that provides a good amount of protection and not concerned about the crystal clarity or creativity can go for a Speck Presidio Grip case. The case protects your phone when it is dropped from the height of 10 feet and is designed in such a way that the phone never gets slipped from your hand. It provides accurate openings for all the features such as camera and fingerprint sensor and easy access to all the ports. The case also offers raised bezel to protect the screen from scratches. 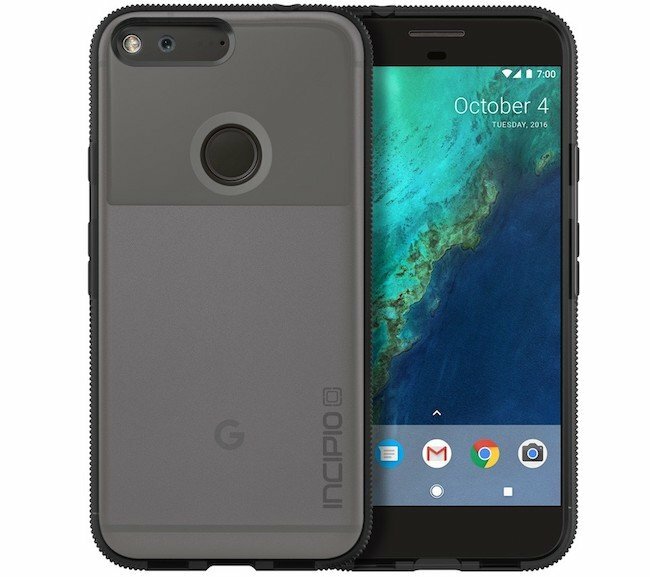 Incipio Octane Google Pixel XL case boasts a slim profile and offers a good amount of protection with style. The semi-transparent back panel is tough and made of durable polycarbonate material. 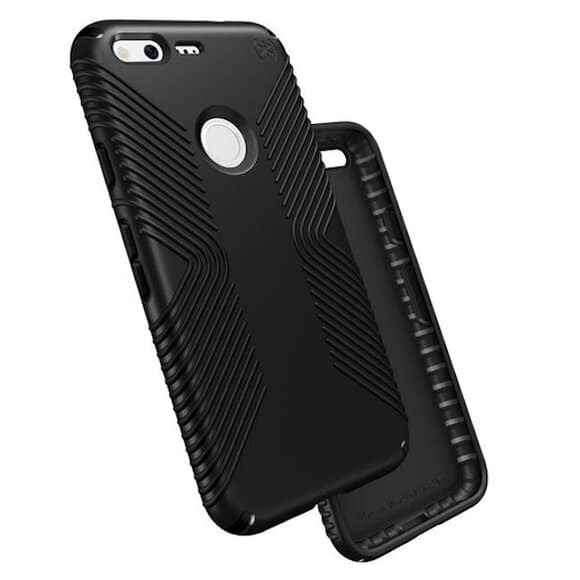 The bumper section of the case is made of flexible TPU and is shock absorbent. The textured body provides solid grip over the phone and at the same time allows users to show the beauty of their smartphone. Nicely placed cutouts give full access to ports and other features. This wallet style case is made of genuine leather and offers four slots in which you can keep your credit, debit, ID cards and cash on the back side. The case is easy to open and features well placed cutouts to access ports, camera, buttons and other accessories. It provides a good amount of protection and looks very premium in hands. Despite of having a leather body, it is not too heavy. 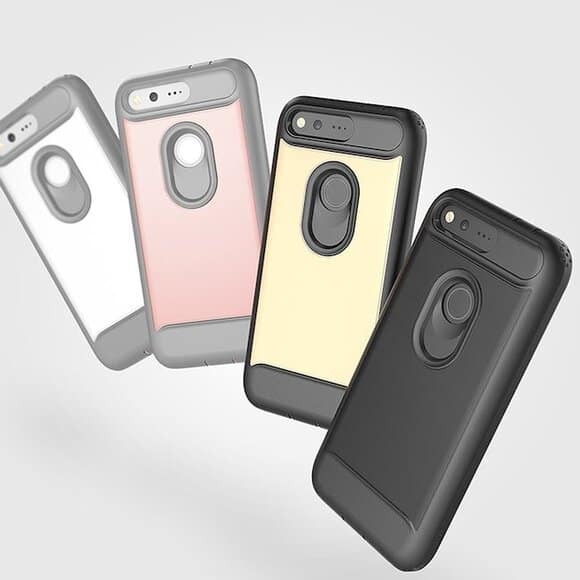 The DGtle case is made of TPU and packs a soft bumper to protect the screen from scratches. The precious cutouts allow users to access all the ports and features without removing the cover. You can choose from the variety of colours as it offers 10 different options to suit everyone’s style and personality. LK Ultra-scratch resistant case for Google Pixel XL is built with flexible TPU which is shock absorbent. The case is available in five different colours and provides easy access to all ports via its nice cutouts. It provides satisfactory protection and adds minimal bulk to the device. It is a Full-body Rugged Belt Clip Holster case which provides massive protection to your delicate Google Pixel XL and boasts a raised lip to protect the screen. The case features a dual-layer structure and includes a built-in belt holster to save the phone from accidental bumps and shocks. It comes in three different colours and a reasonable price. Cimo is a slim and light cover that adds minimal bulk to your Google Pixel XL. The case is made of reliable TPU and polycarbonate and has raised bezel to protect the screen from any unwanted scratches. It is available in six colours provides full access to all ports through well placed cutouts. 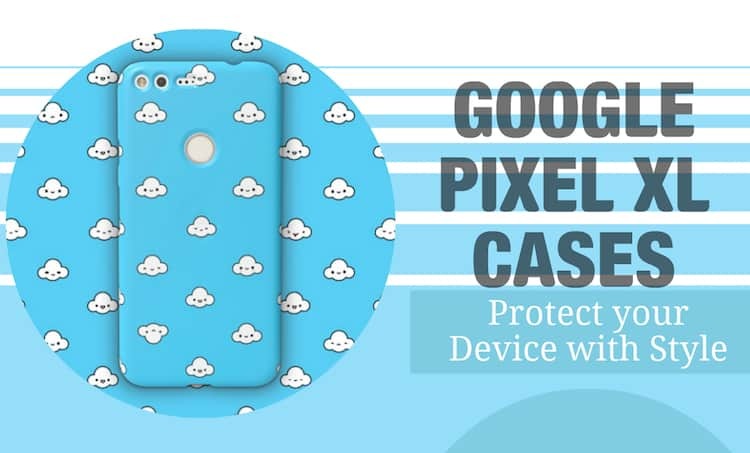 Hopefully the list of best Google Pixel XL cases and covers we have provided will help you to make your mind, then choose the one that suits your personality best. 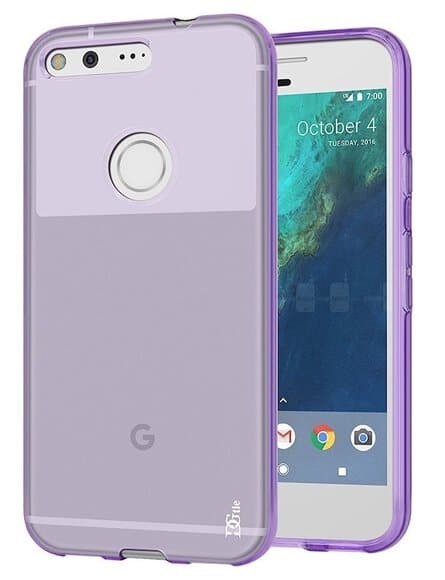 We know that many more amazing Google Pixel XL cases will come in near future, especially after the release of the phone. Feel Free to give your valuable feedback and do share your experience about the above mentioned best Google Pixel XL cases with us.